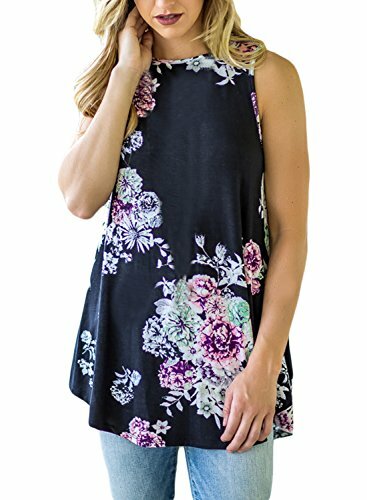 When you need that perfect floral top to make you feel cute and trendy, this Floral Print High Neck Tank Top is for you!! 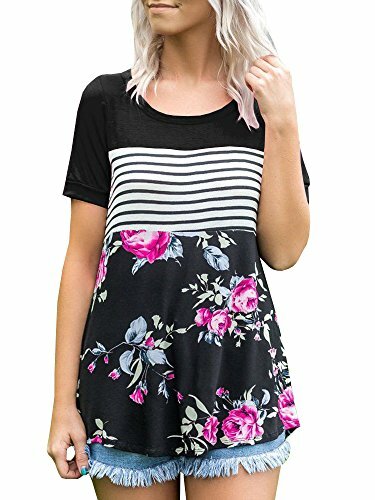 The floral print with lovely babydoll silhouette make this top easy to dress up or down! High neck, relaxed style, comfortable to wear for the soft quality fabrication. A perfect piece to wear on its own or layer with your favorite denim jacket or cardigan for a cute spring look!Size Chart(INCH)Small(US4-6):Bust 35.4-42.5 Waist 38.2-44.9 Length 26Medium(US8-10):Bust 37.4-44.5 Waist 40.2-48 Length 26.8Large(US12-14):Bust 39.4-46.46 Waist42-50.8 Length 27.2X-Large(US16-18):Bust 42.5-51.2 Waist45.7-53.1 Length 28XX-Large(US20-22)Bust 45.7-54.3 Waist 48.8-55.9 Length 28.7There maybe 1-2 cm deviation in different sizes,locations and stretch of fabrics.Size chart is for reference only,there may be a little difference with what you get.Color may be lighter or darker due to the different PC display.Wash it by hand in 30-degree water, hang to dry in shade, prohibit bleaching.There maybe a slightly difference on detail and pattern of the top. 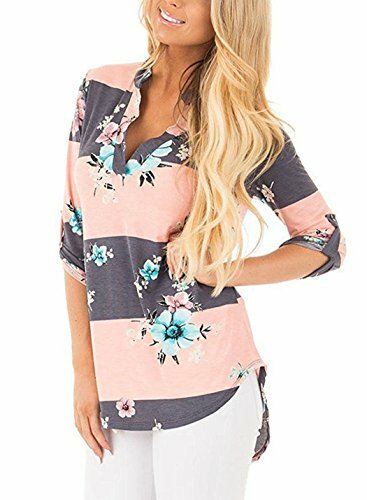 Gemijack Womens Floral Tops Summer Short Sleeve Casual Striped Color Block Tunic Shirt BlouseSummer Colorblock Short Sleeve Blouse Made by GemijackUnique and Chic Style, Get an Eyecatching Look! Size of Our Products is Matching with US Size. PRODUCT DETAIL: Floral and Striped With Patchwork. The Material is Lightweight and Soft. 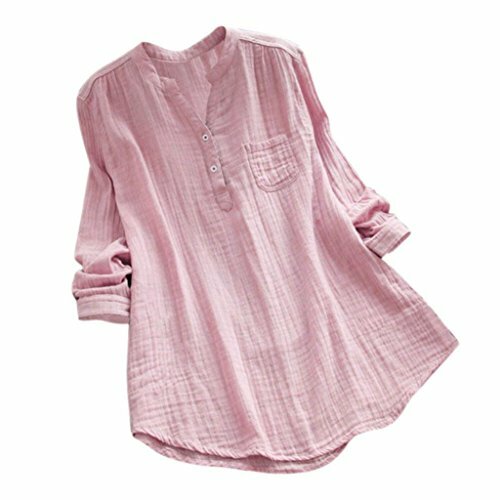 Short Sleeve Loose Fitting Style. NOTE:How to Keep Your Gemijack Shirt's Design as Beautiful as Possible: 1.We do Recommend Washing This Garment Inside Out on The Gentle Cycle with Cold or Lukewarm Water. 2.You Can either Tumble Dry Low or Line Dry. Material: Well Made Cotton. Occasion: Casual,Summer, Shopping, Vacation, Beach, Lounge. Package Includes: 1 x Top,other accessories not included. Warning: The photos of models from our store Gemijack is Original Apparel. Photos posted without permission will infringe on any rights holders rights. 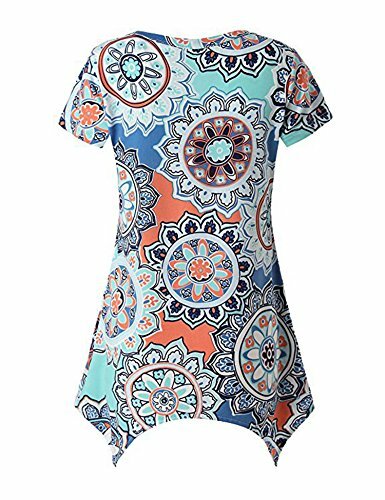 Size Chart(Unit:cm/inch) Size:S Bust:96cm/37.8" Shoulder:38cm/15" Sleeve:59cm/23.2" Length:70cm/27.6" Size:M Bust:101cm/39.8" Shoulder:39cm/15.4" Sleeve:60cm/23.6" Length:71cm/28" Size:L Bust:106cm/41.7" Shoulder:40cm/15.7" Sleeve:60cm/23.6" Length:72cm/28.3" Size:XL Bust:111cm/43.7" Shoulder:41cm/16.1" Sleeve:61cm/24" Length:73cm/28.7" Size:2XL Bust:116cm/45.7" Shoulder:42cm/16.5" Sleeve:61cm/24" Length:74cm/29.1" Size:3XL Bust:121cm/47.6" Shoulder:43cm/16.9" Sleeve:62cm/24.4" Length:75cm/29.5" Size:4XL Bust:126cm/49.6" Shoulder:44cm/17.3" Sleeve:62cm/24.4" Length:76cm/30" Size:5XL Bust:131cm/51.6" Shoulder:45cm/17.7" Sleeve:63cm/24.8" Length:77cm/30.3" Note: -Please allow 1-2cm measuring deviation due to manual measurement. - Please check the Size Chart before order. If you are not sure the size, please send message to us. 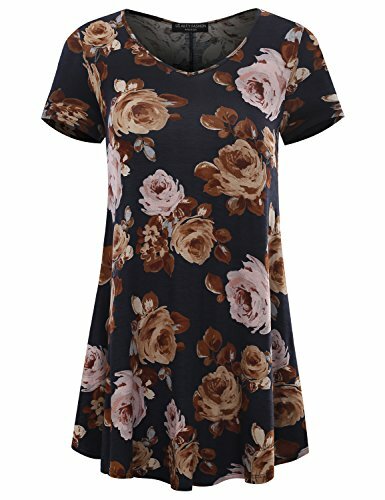 Looking for more Cotton Floral Tunic similar ideas? Try to explore these searches: Invicta Ladies Quartz Mop, Stainless Steel Sugar Spoon, and Cavalier Radiator Fan Shroud Assembly. 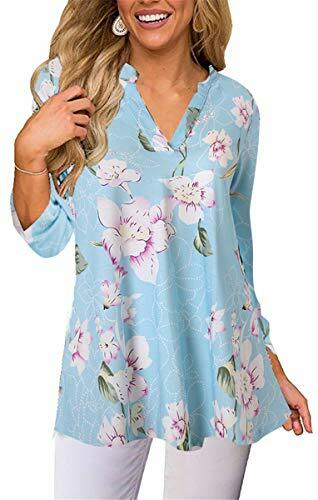 Look at latest related video about Cotton Floral Tunic. Shopwizion.com is the smartest way for online shopping: compare prices of leading online shops for best deals around the web. 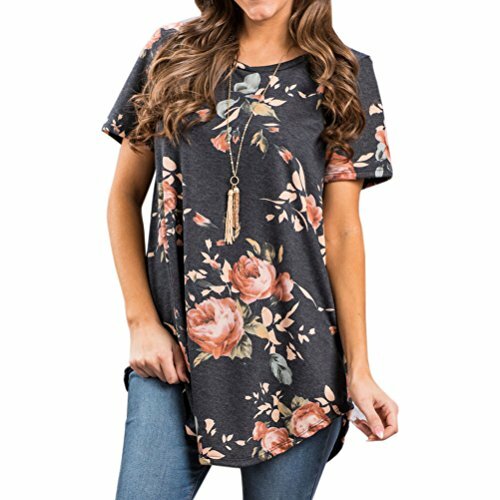 Don't miss TOP Cotton Floral Tunic deals, updated daily.